Kevin and I have been huge fans of the long time series The Mentalist over the years. Unfortunately, we stopped watching it after the 6th season due to our moving into a new home and kind of losing interest after Red John was finally discovered. 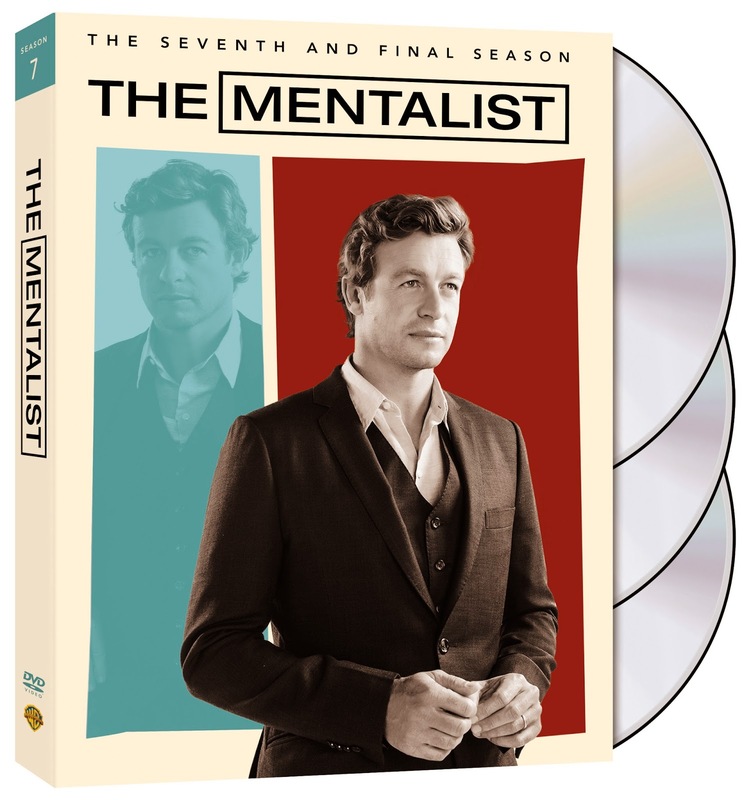 However, I was recently given the opportunity to get back into the series as The Mentalist: The Complete Seventh and Final Season comes to DVD and Digital HD on April 28th, 2015. The synopsis says "The FBI’s masterfully manipulative criminal consultant Patrick Jane is back at it again. Formerly employed by the California Bureau of Investigation (CBI), Jane spent two years off the grid and in exile after tracking down and exacting vengeance upon Red John, the serial killer who murdered Jane’s wife and daughter. After crafting a deal to work for the FBI, Jane convinced former CBI agent Teresa Lisbon to join him. Supervised by the no-nonsense Agent Dennis Abbott, Jane and Lisbon work alongside their former CBI comrade Kimball Cho, FBI analyst Jason Wylie and the young, ambitious agent Michelle Vega. Now that Lisbon and Jane have confessed their love for one another, they must find a way to be partners in both their professional and personal lives as they begin their new relationship." Including the final 13 episodes, this time around we were able to see a different side of Jane and even the rest of the characters. We were in shock to see the relationships develop in a different direction than we assumed they would throughout the season. If you are a fan of the series, I recommend getting your hands on the final season and if not I suggest playing catch up!